The members share the same set of core values that guide all activities. Our philosophy is based on one of collaboration rather than a customer/client commercial relationship; all members participate in the decisions through agreed processes. 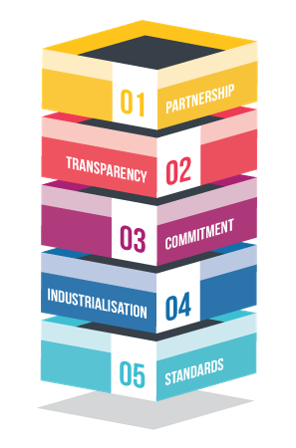 Information is openly and transparently shared among members according to agreed process; the governance framework will ensure fair and equal access to information by all members. The members commit to respecting the coordinated work plans put in place, as individual organisation’s plans become dependent on the outputs. Our outputs are developed according to best practices in terms of application lifecycle management. We are committed to foster and promote internationally defined standards, such as SDMX, GSBPM, GSIM, and CSPA.